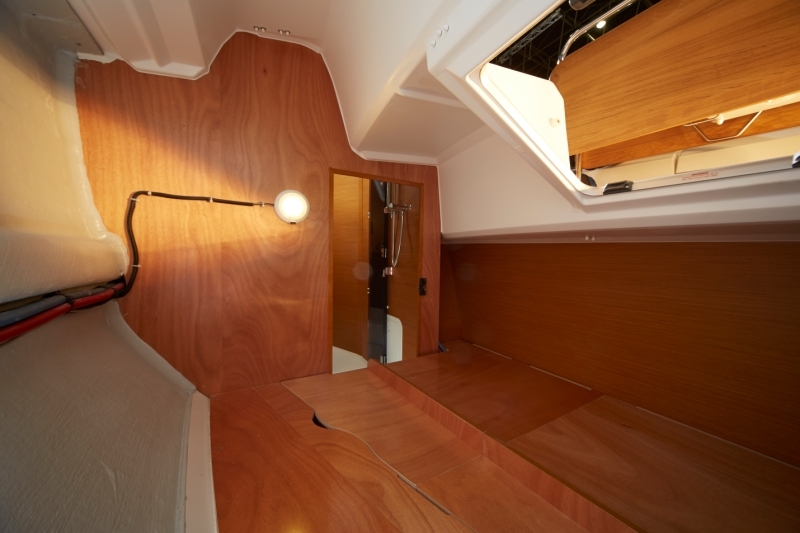 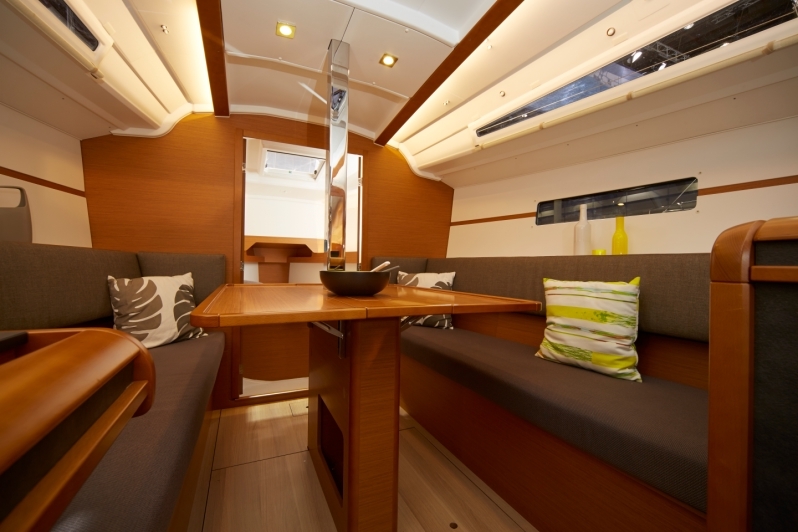 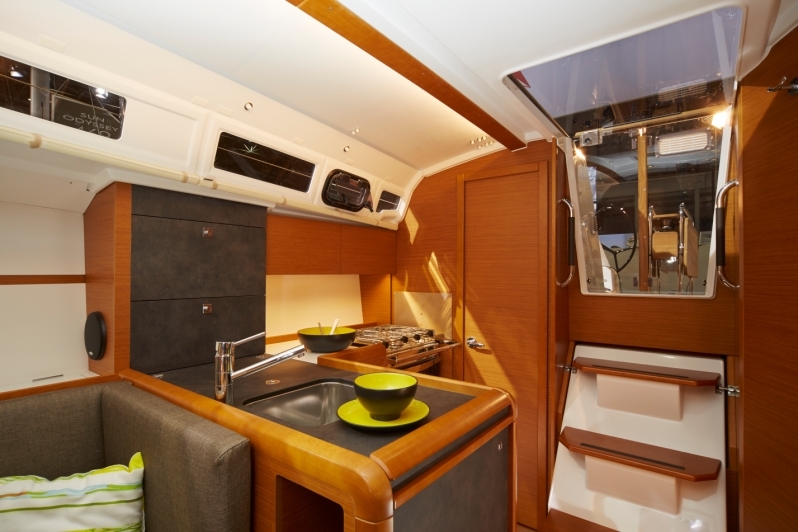 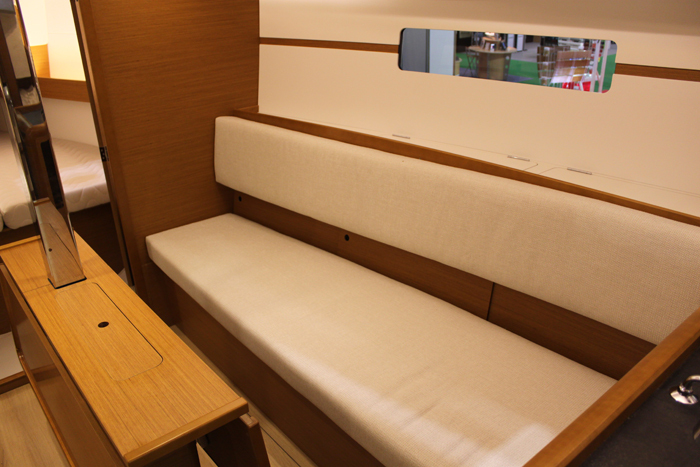 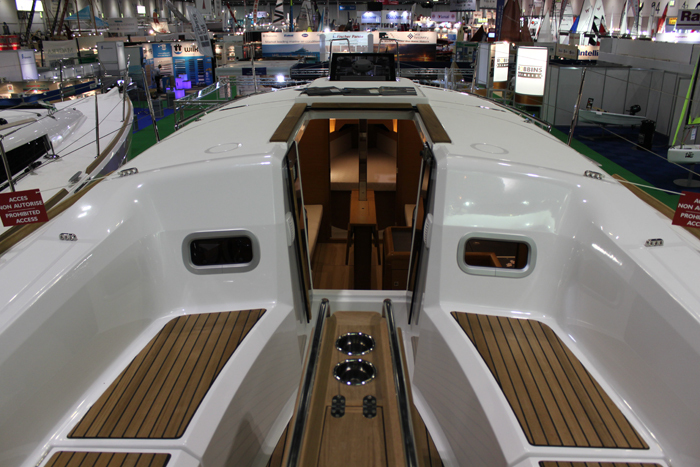 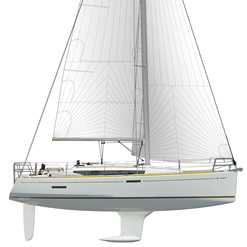 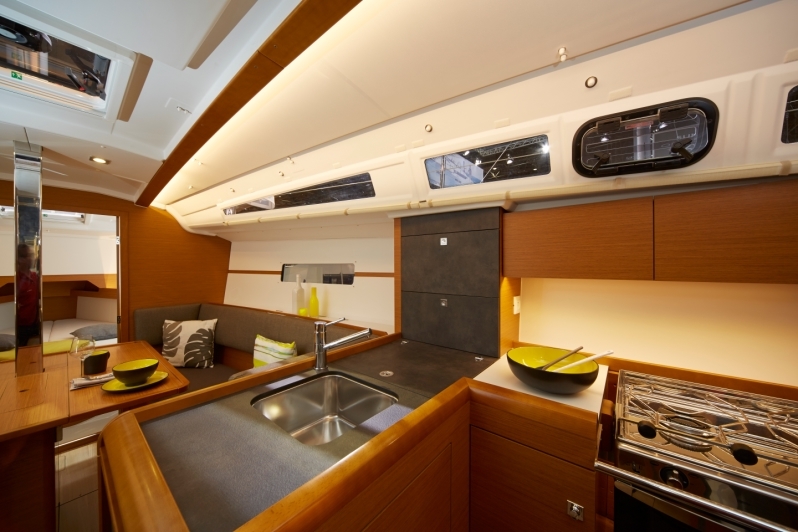 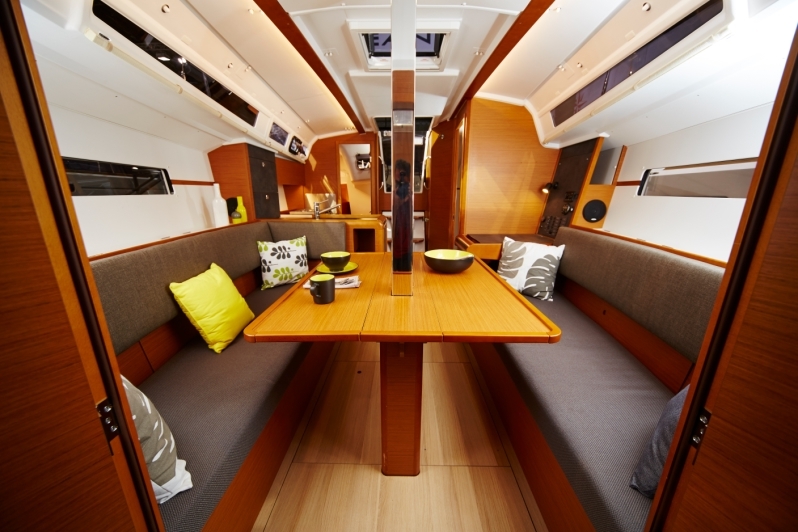 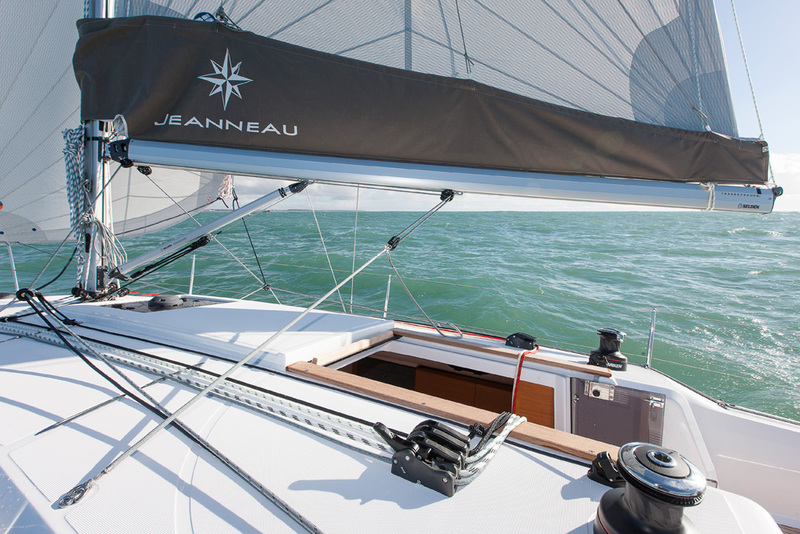 From the very first glance, the Jeanneau Sun Odyssey 349 makes an impressive impact with pure lines, generous interior volume, inviting cockpit and Marc Lombard design. 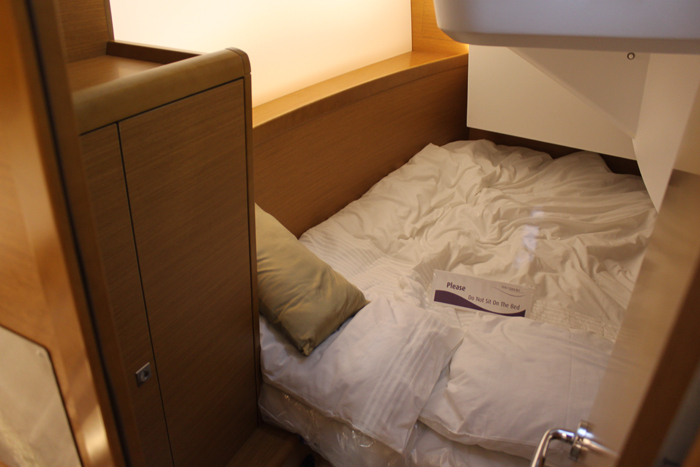 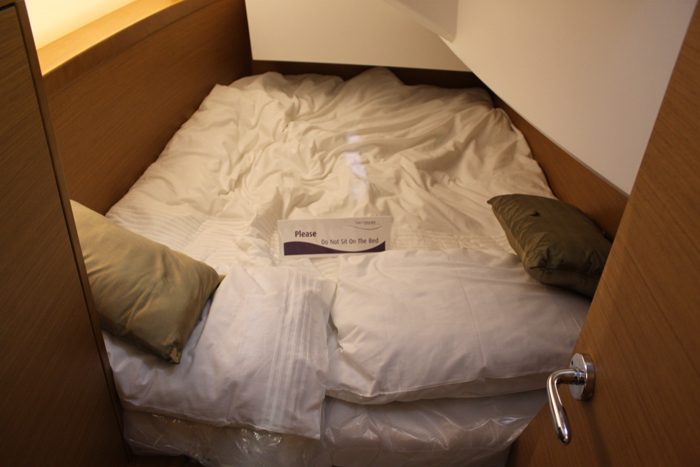 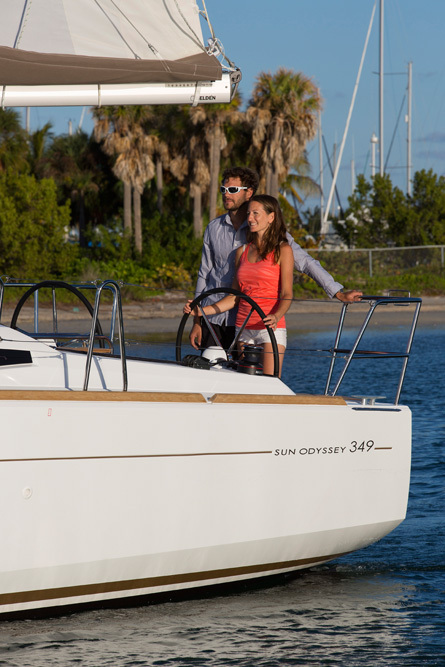 True to the values of the Sun Odyssey range, the Sun Odyssey 349 follows in the footsteps of the award winning Sun Odyssey 379, it is the perfect combination of performance, comfort and safety at sea. 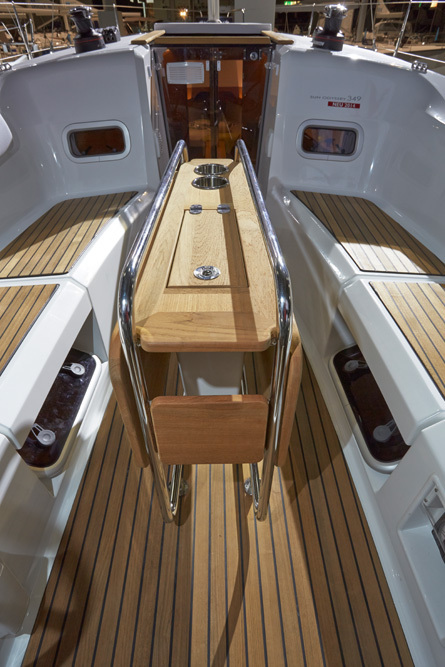 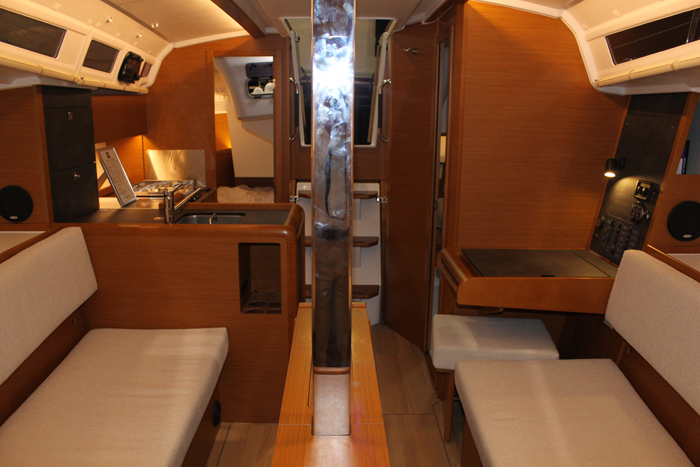 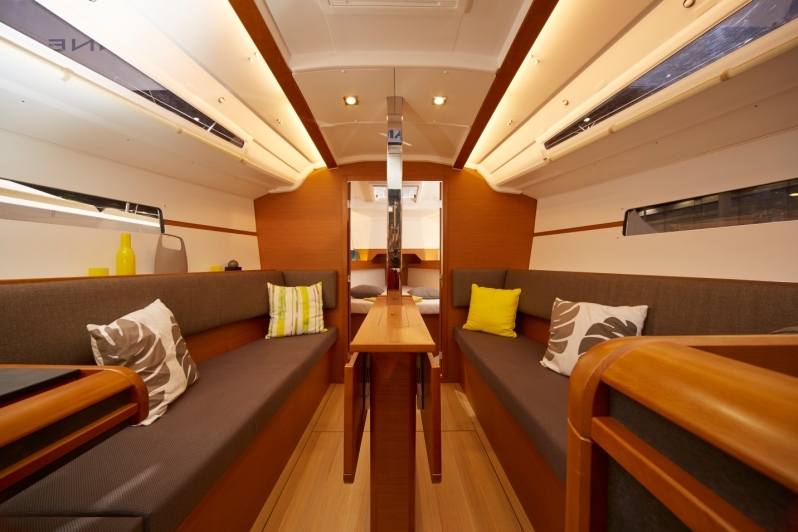 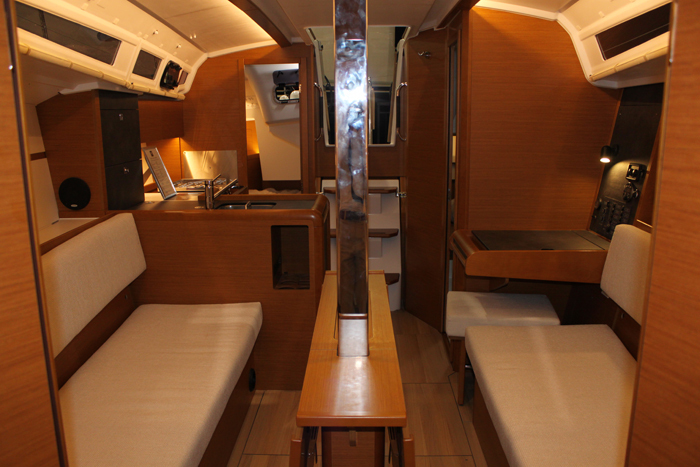 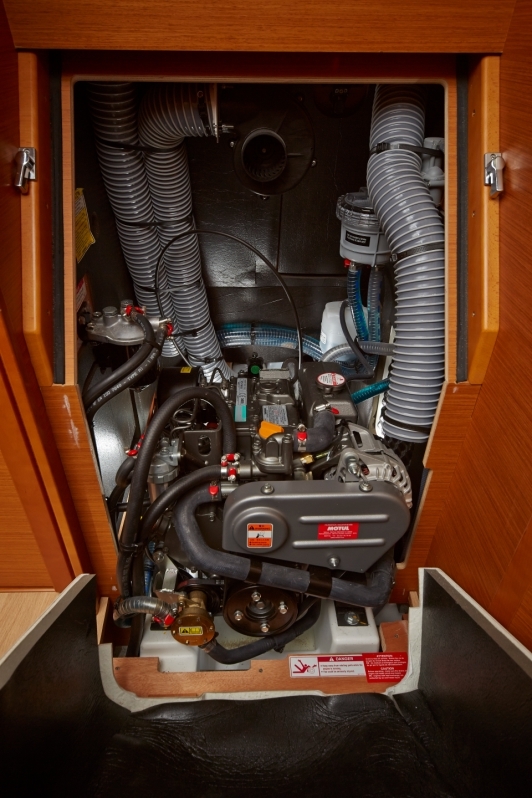 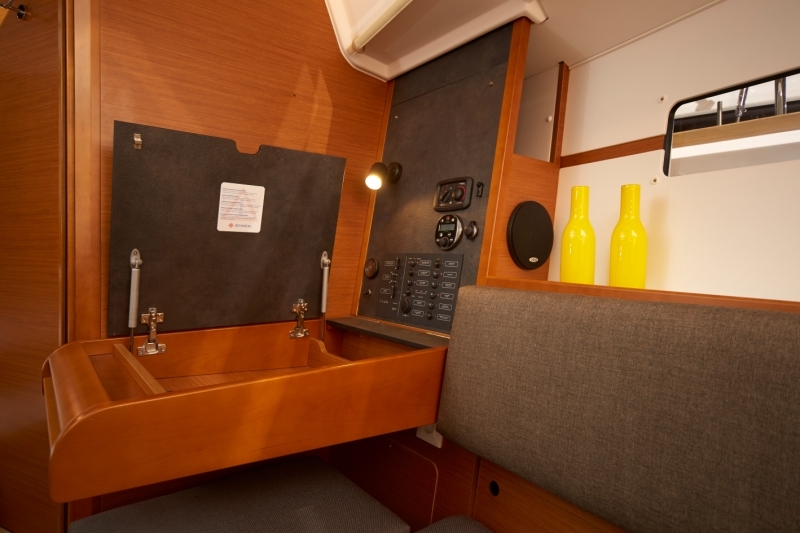 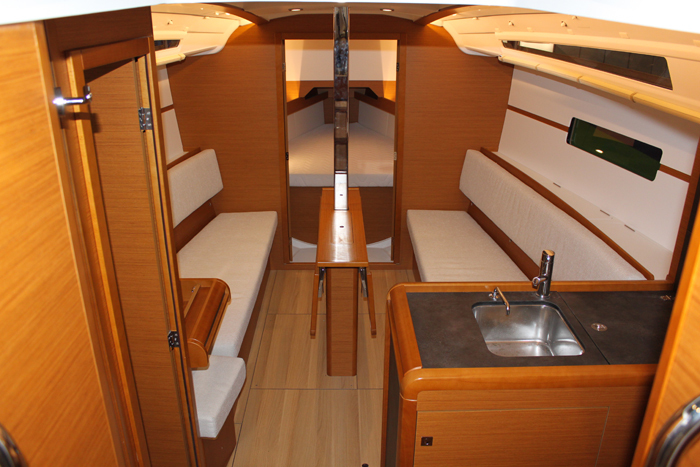 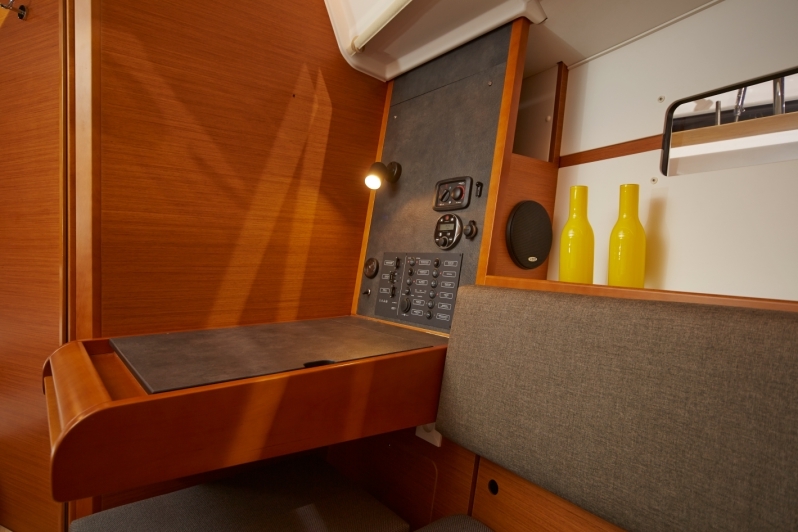 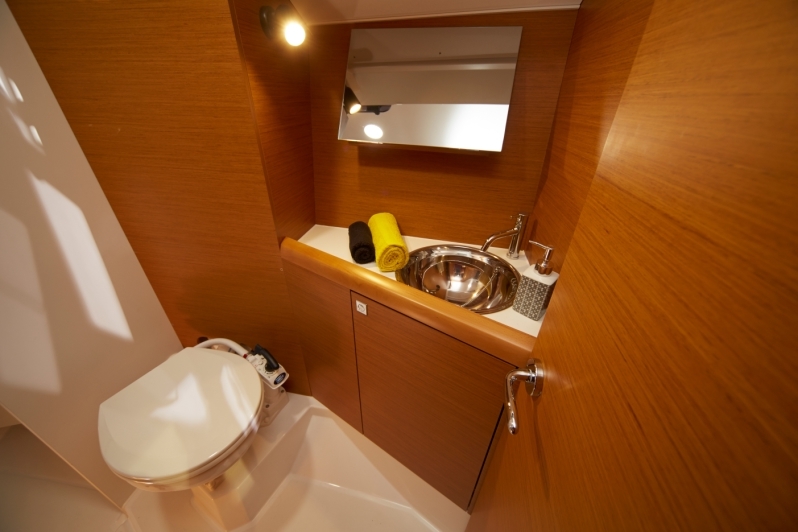 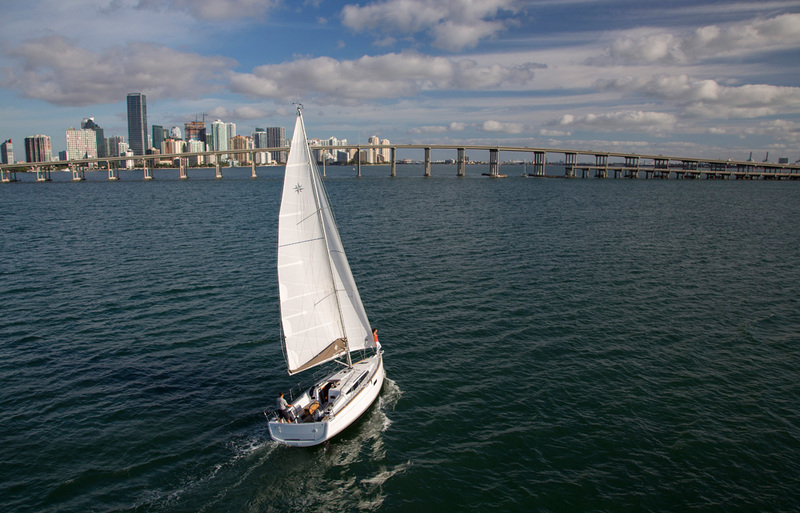 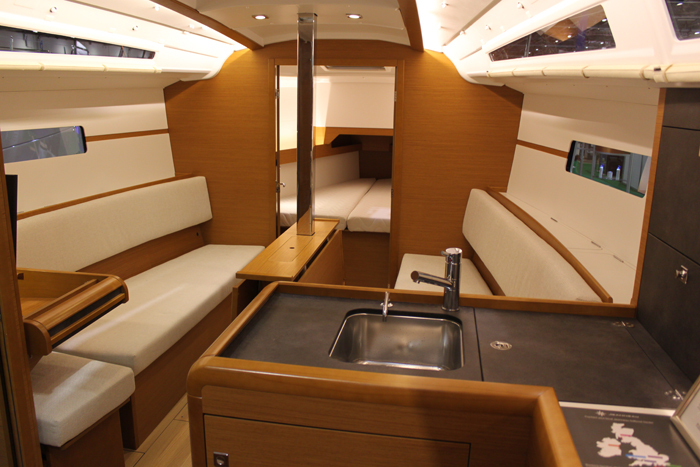 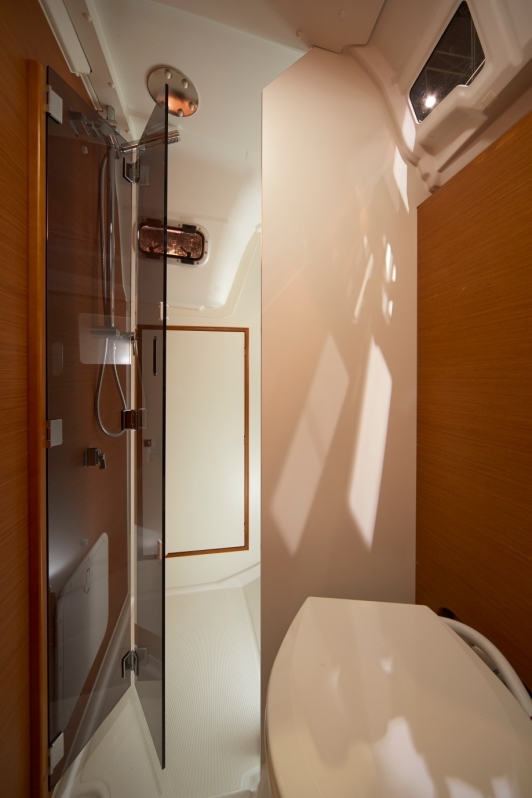 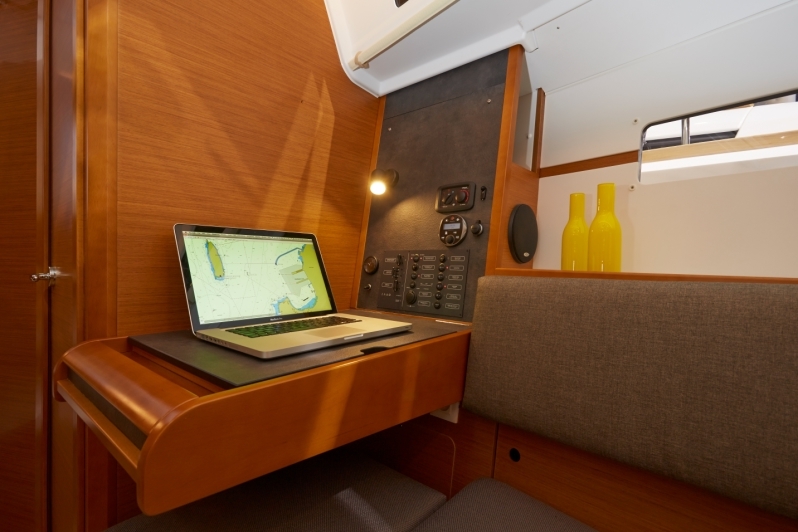 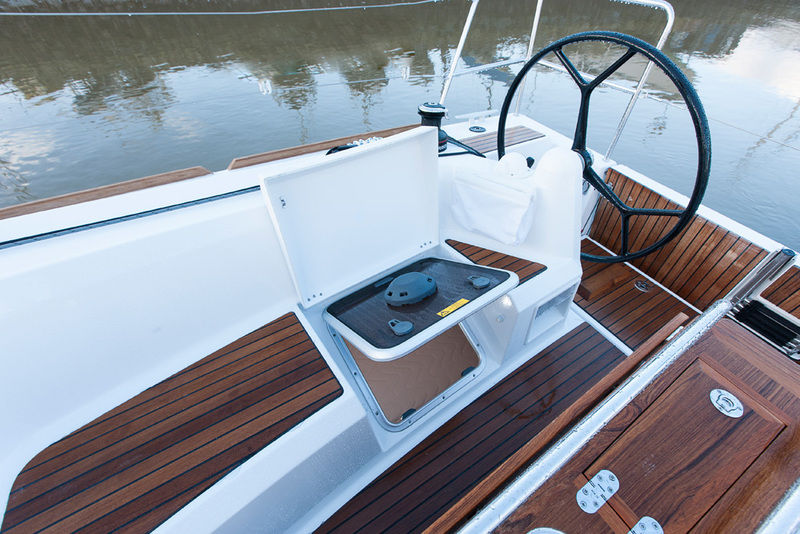 Whether in the cockpit or at the helm, you will enjoy taking full advantage of this seaworthy, stable and easy-to-handle yacht. 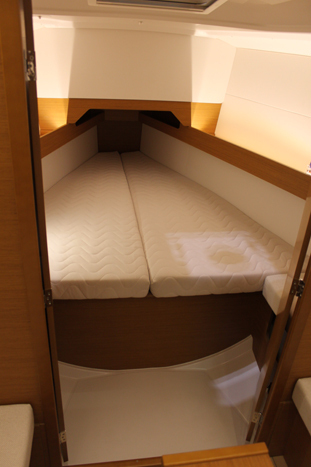 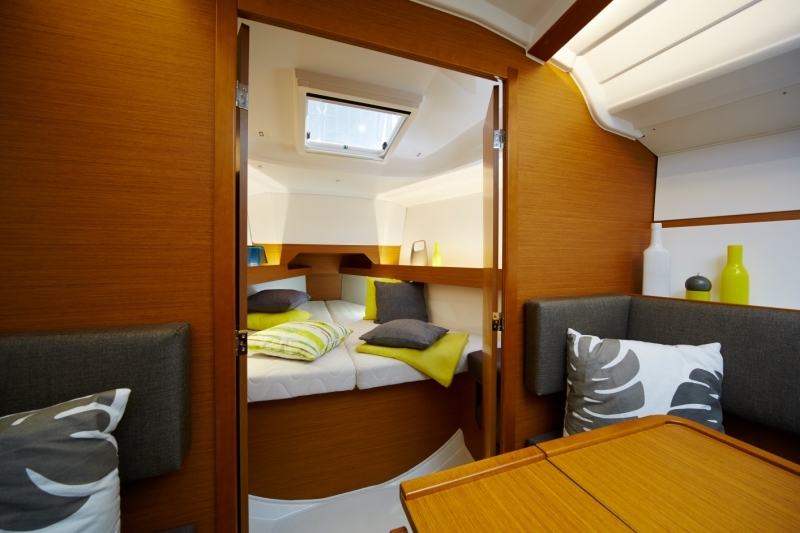 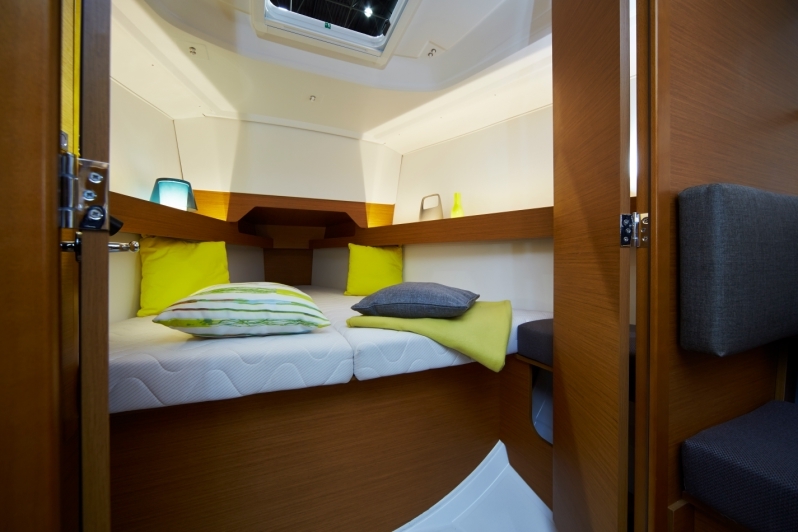 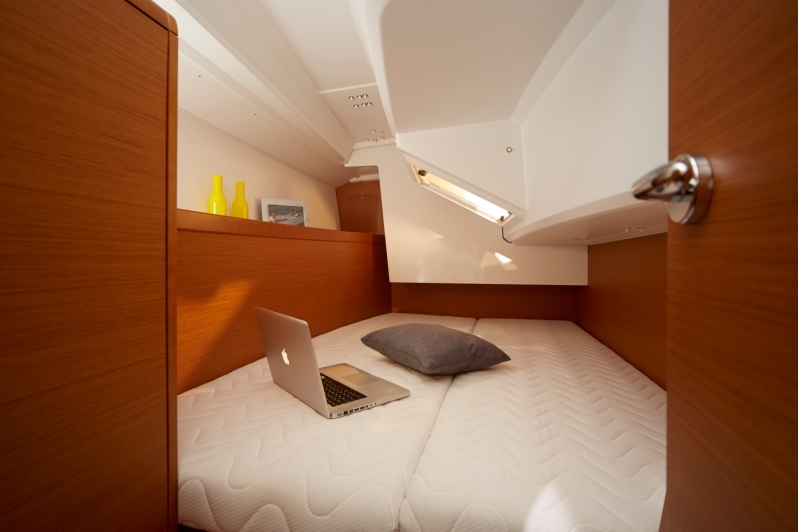 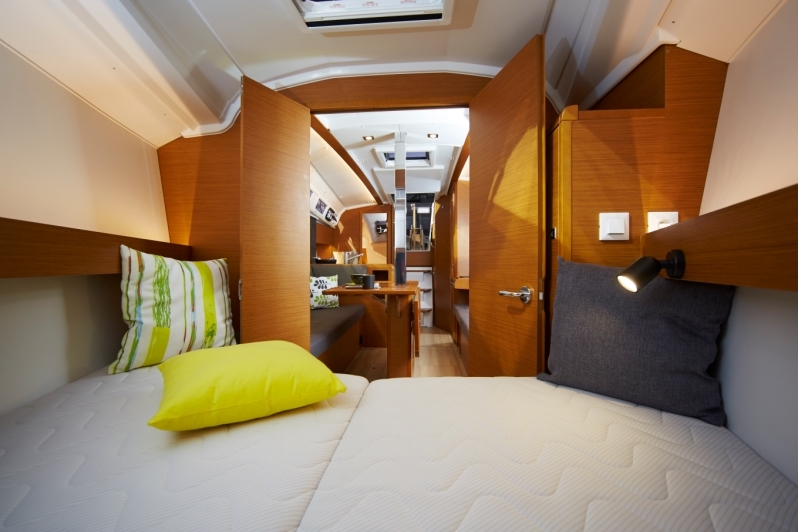 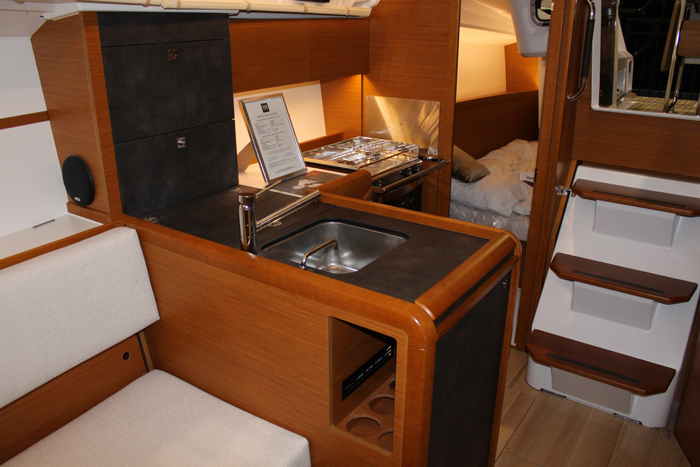 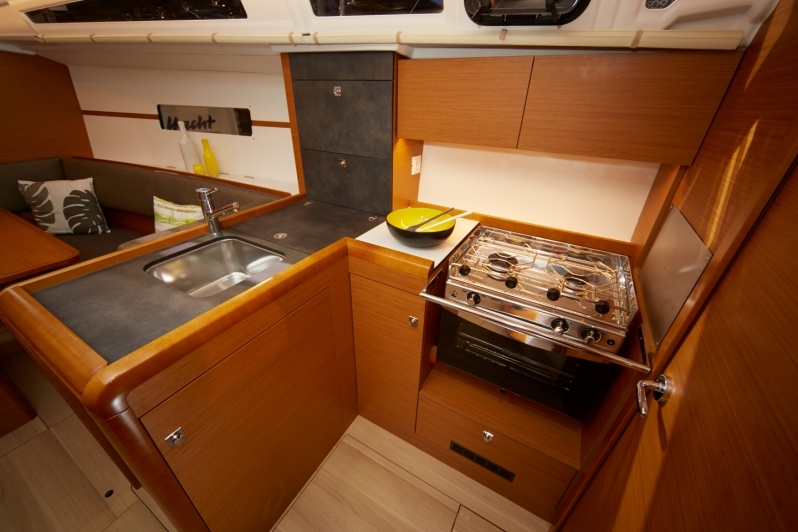 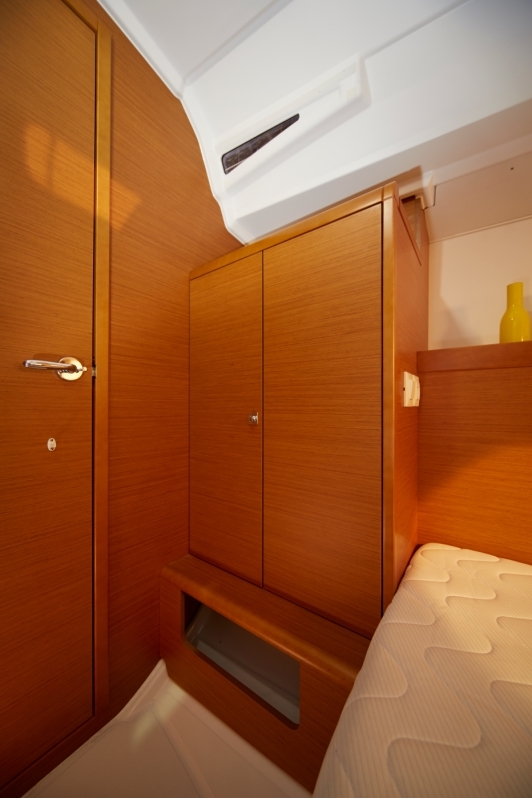 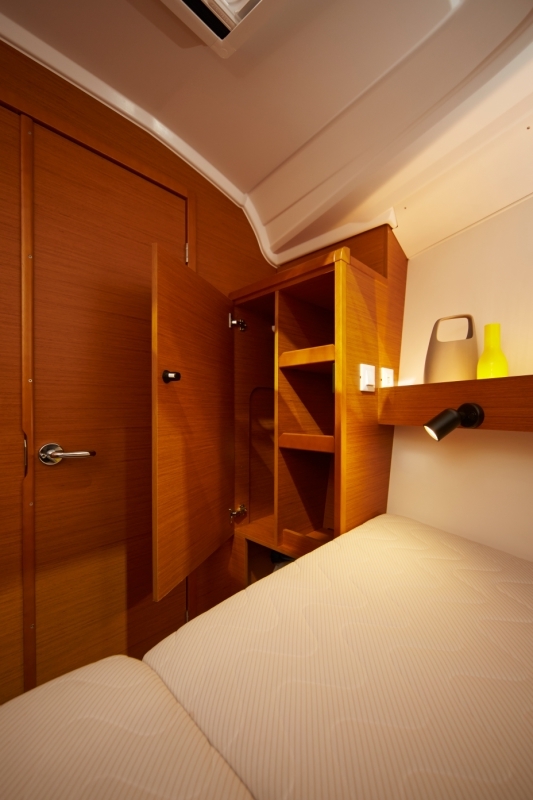 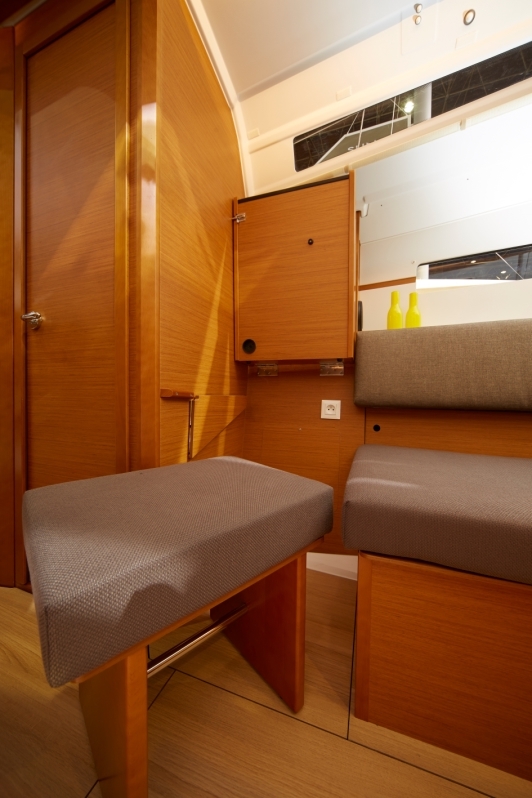 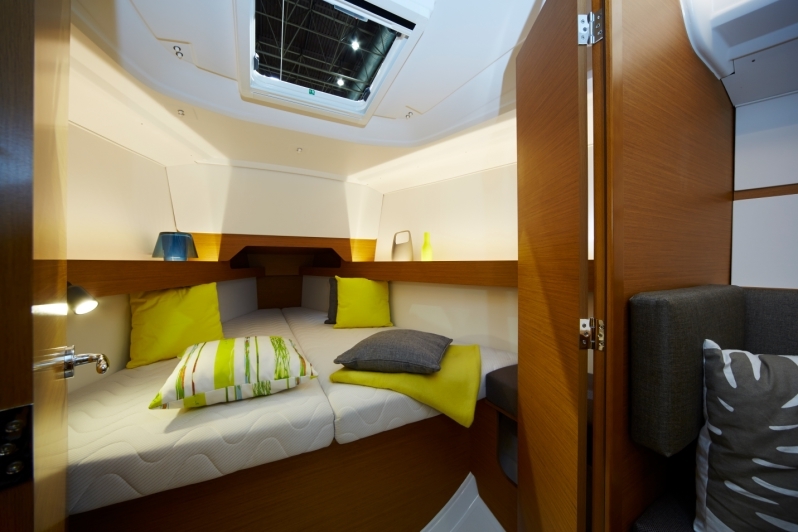 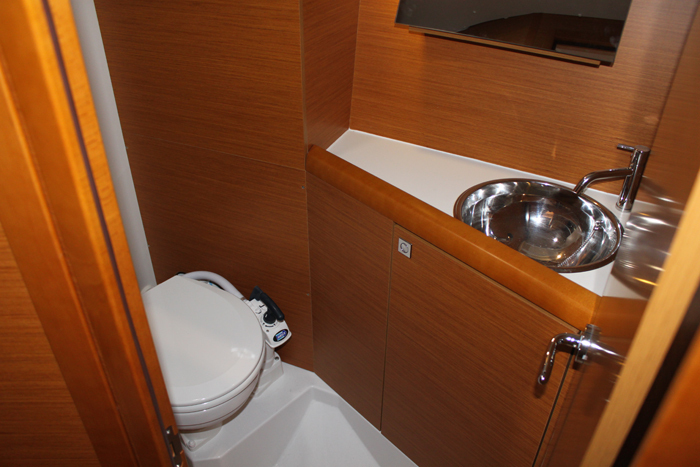 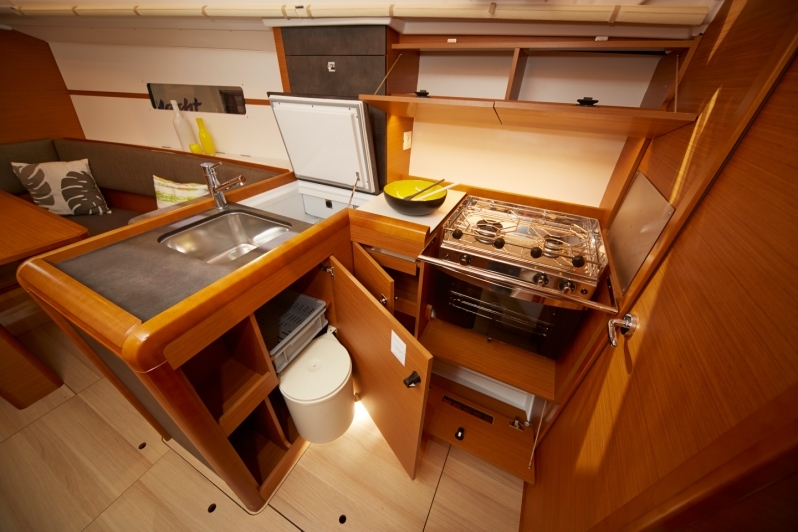 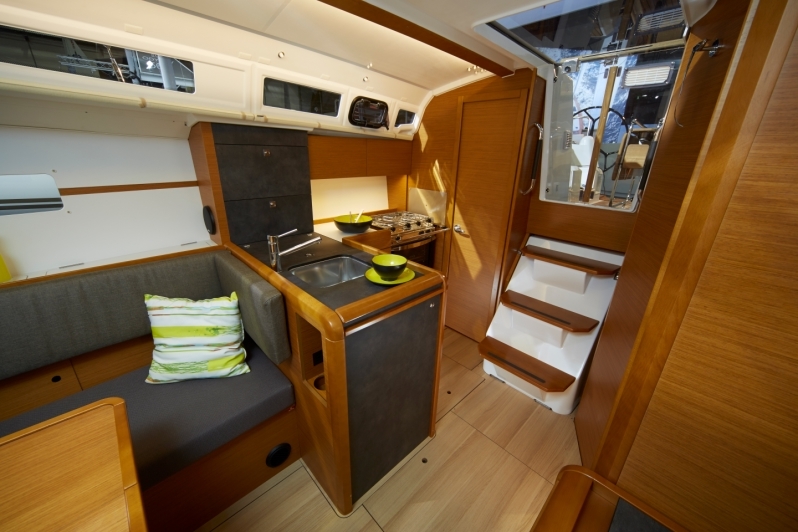 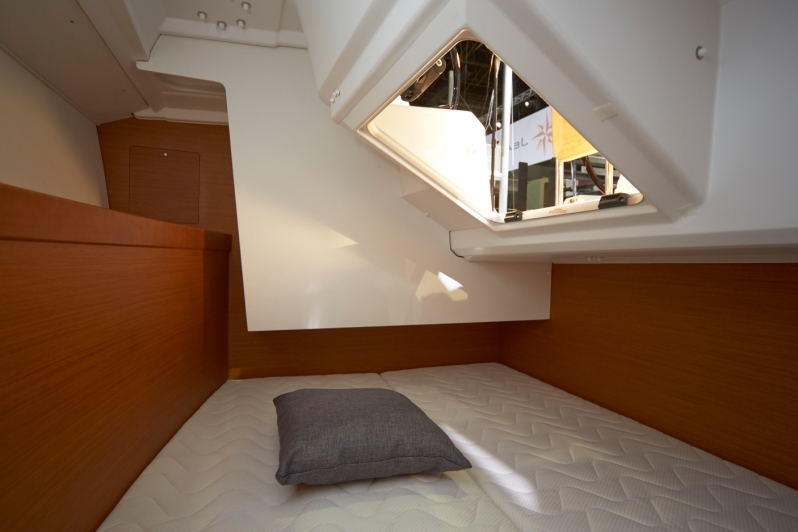 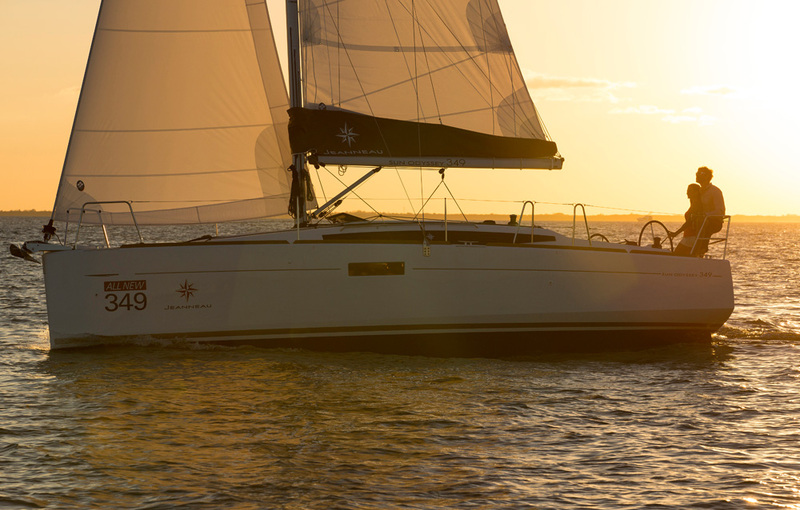 With two or three cabins available, a spacious light saloon and functional galley, the Sun Odyssey 349 proves the perfect partner for families or couples alike. 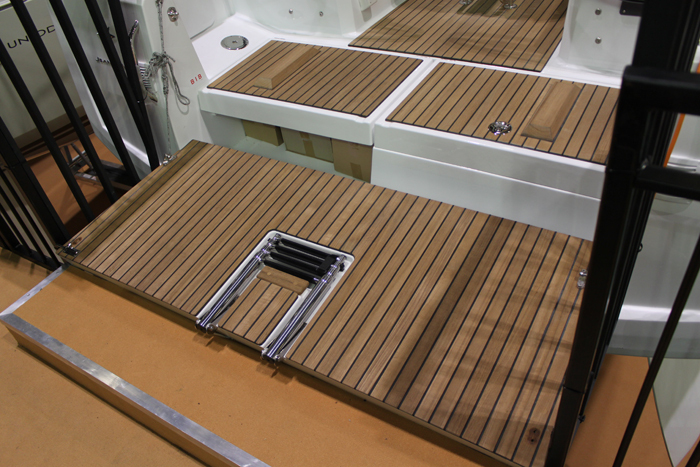 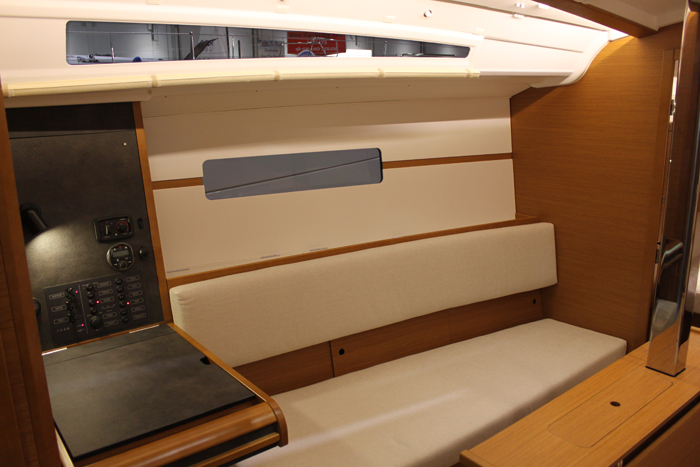 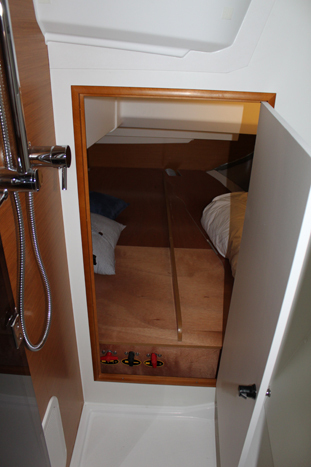 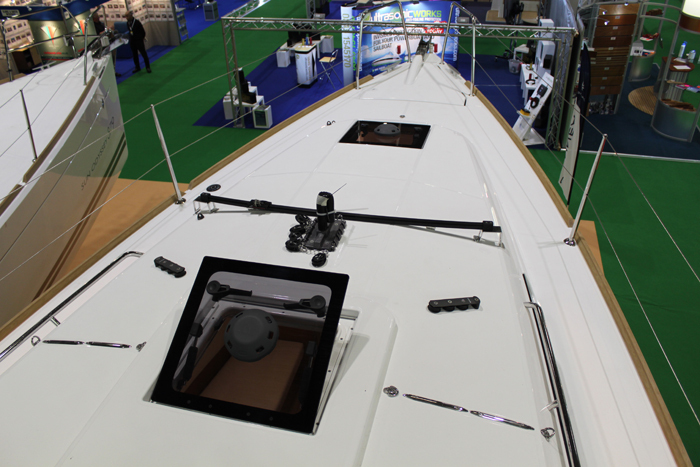 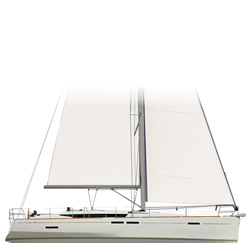 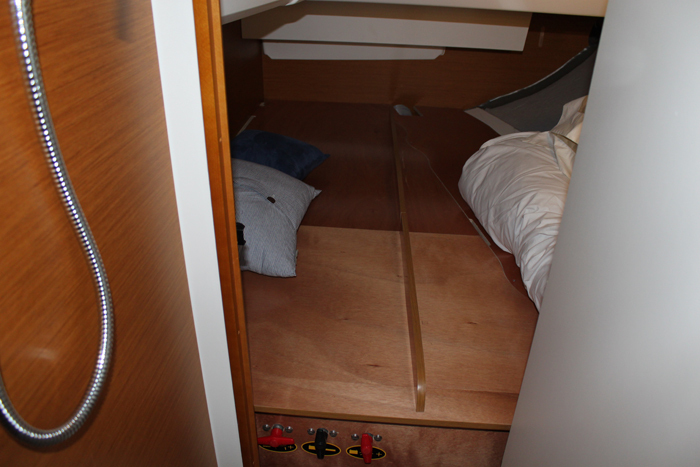 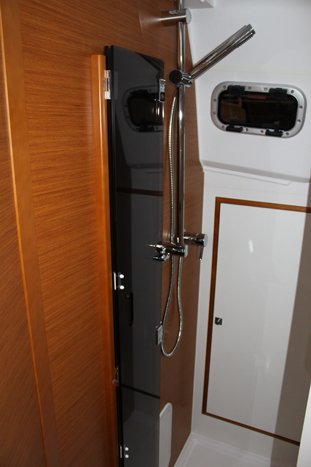 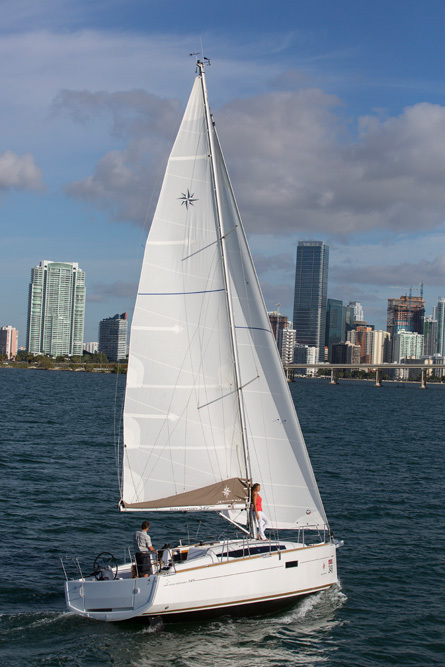 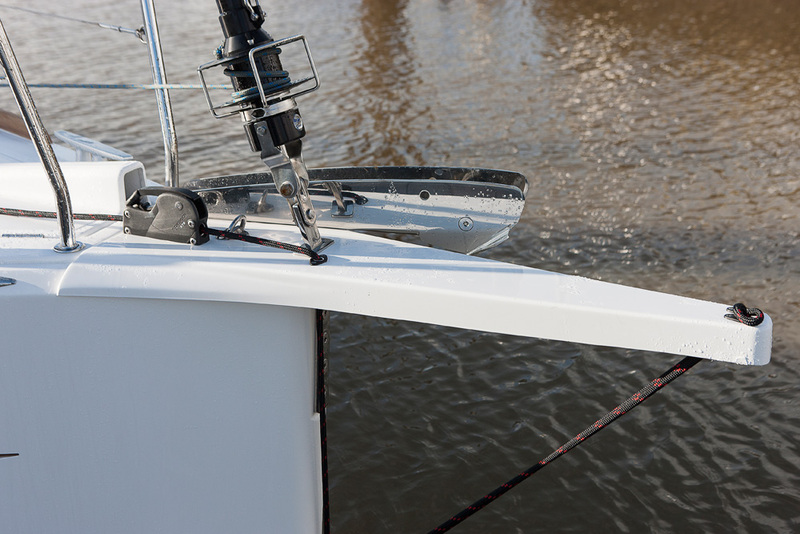 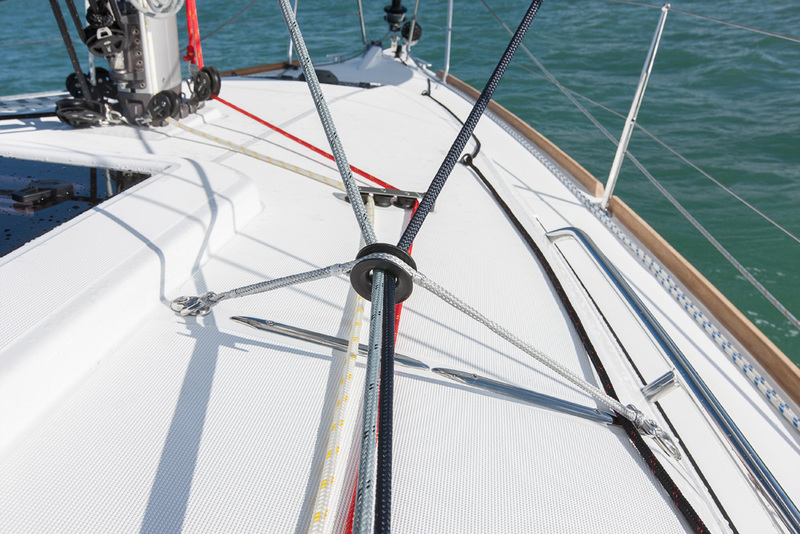 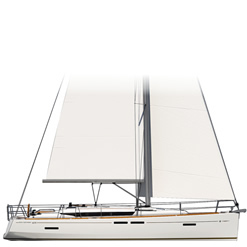 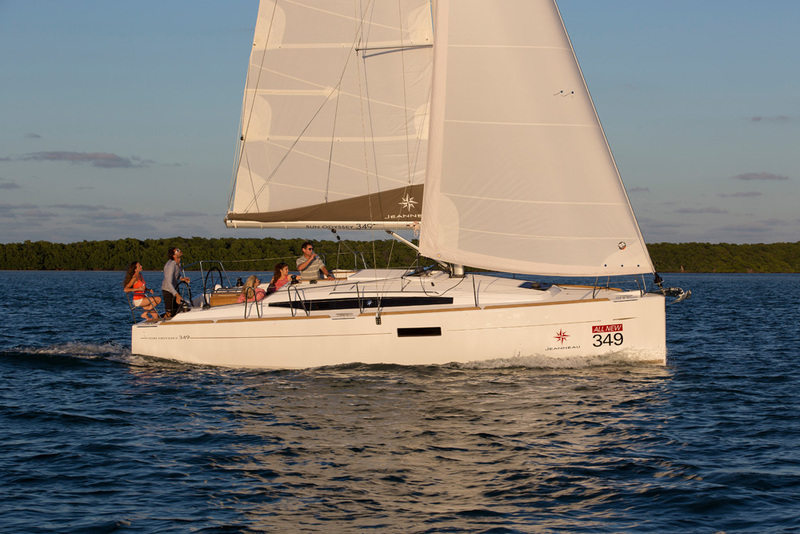 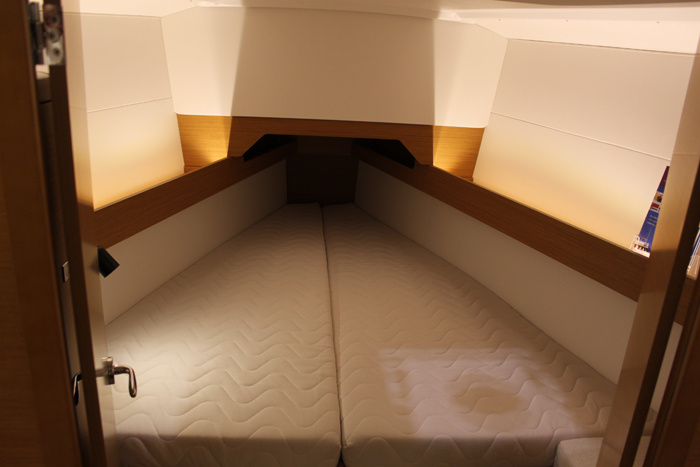 Available in three keel configurations you can choose from the deep fin keel, shoal draft and hydraulic swing keel so where ever you do your sailing there is an option to meet your needs. 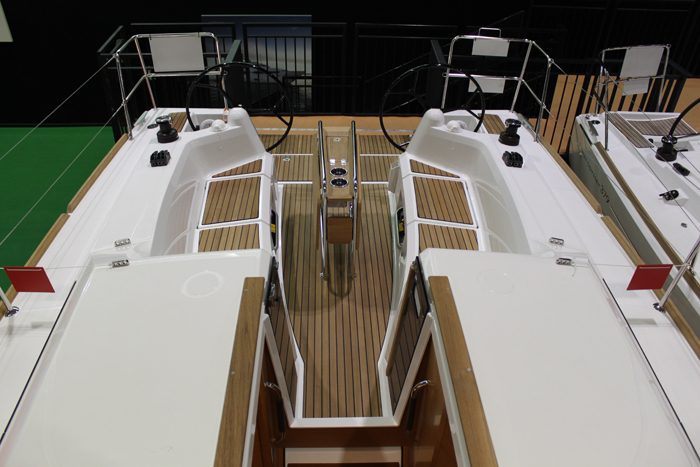 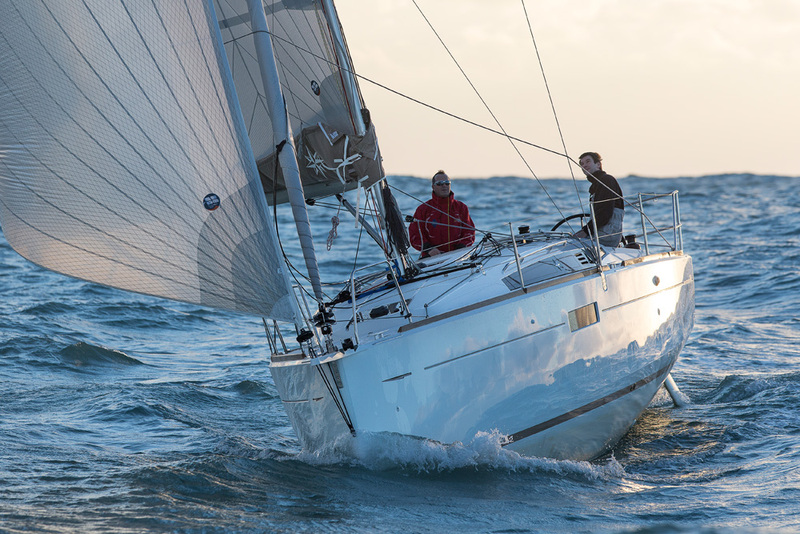 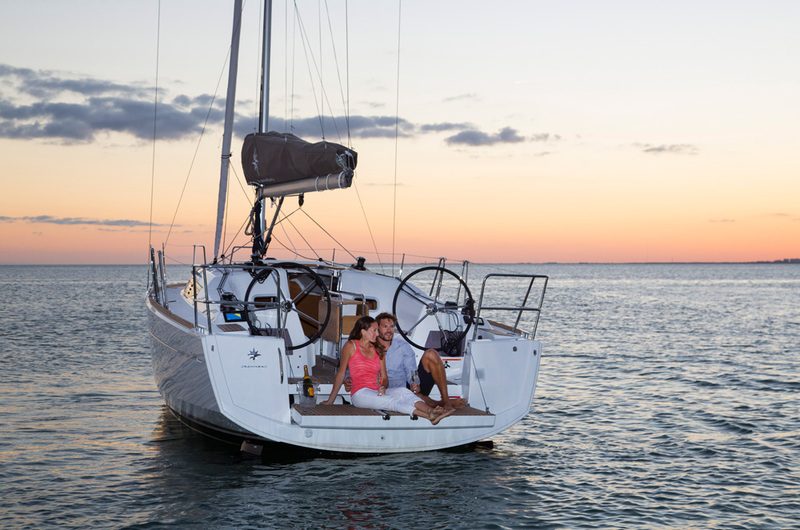 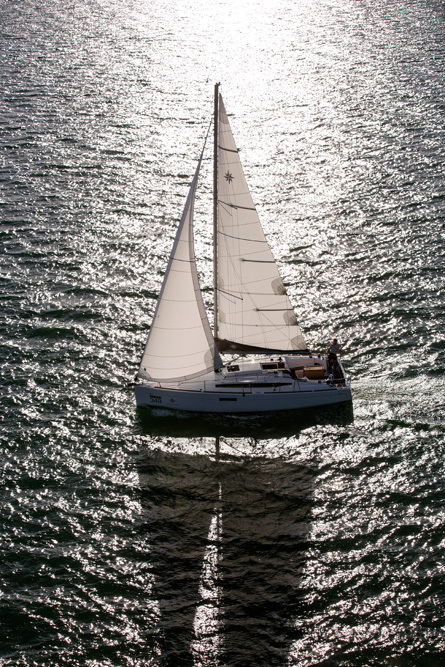 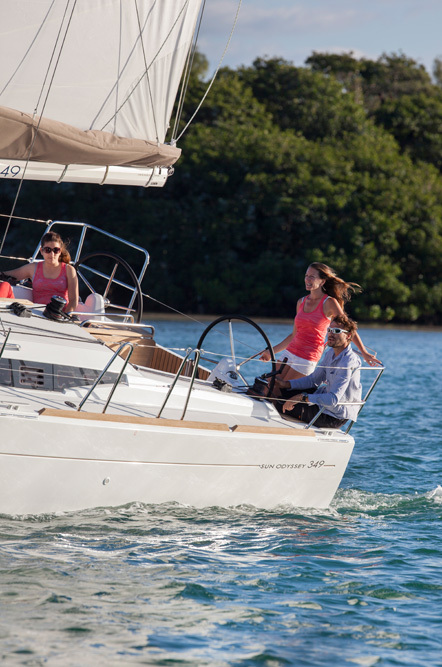 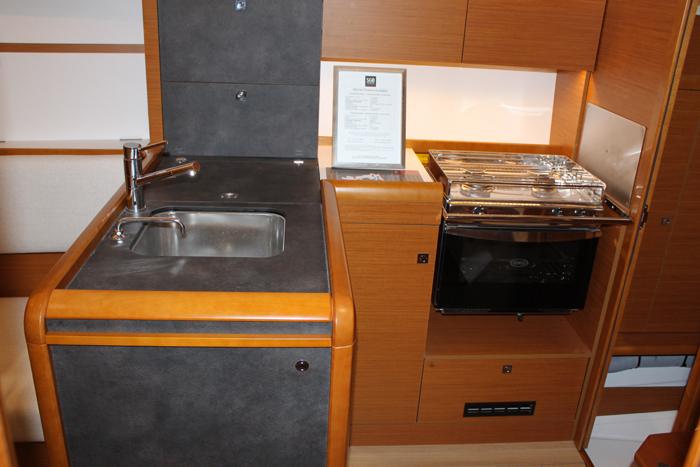 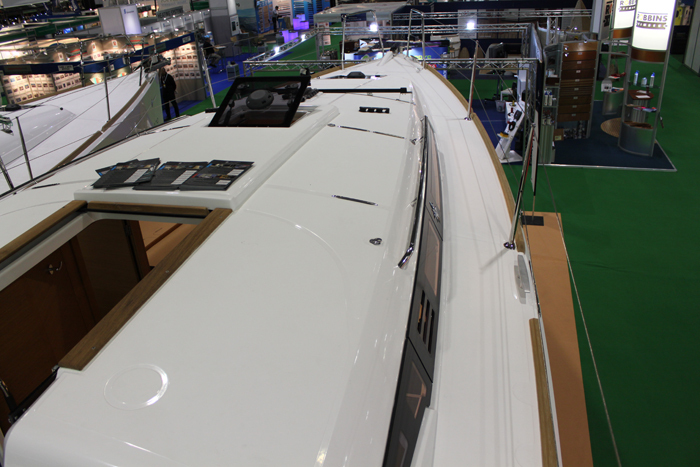 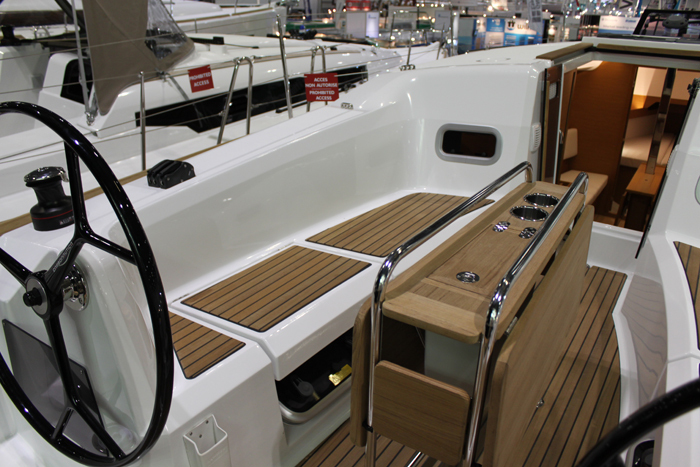 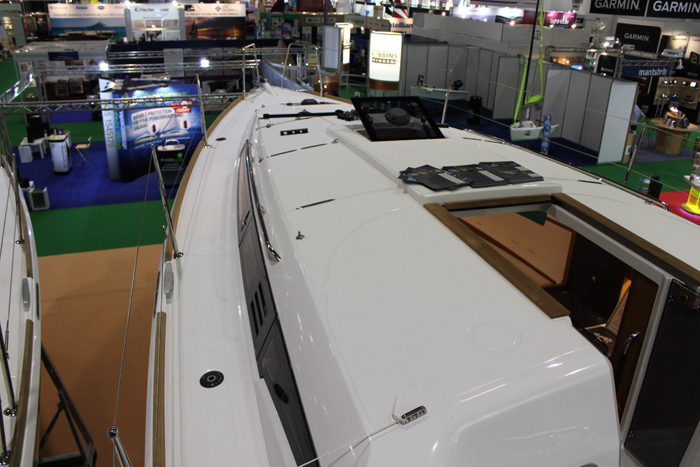 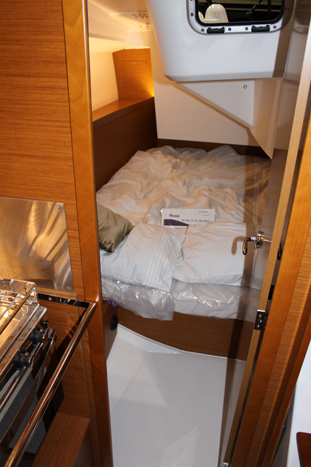 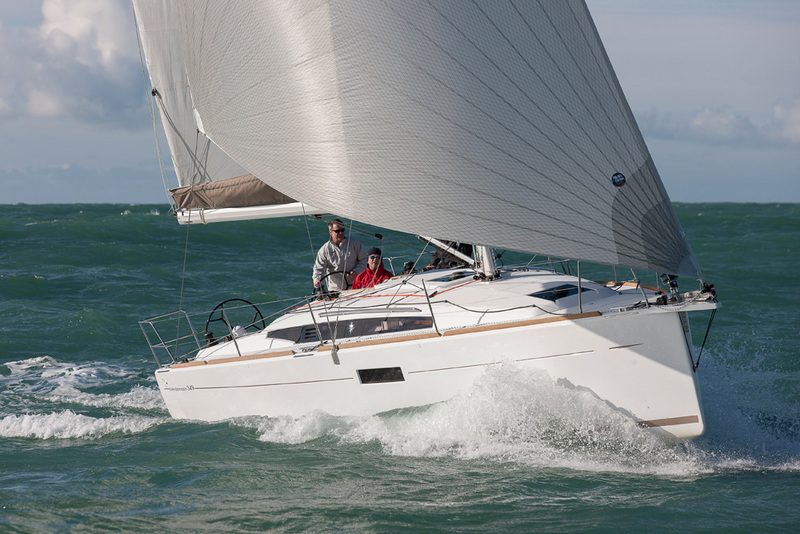 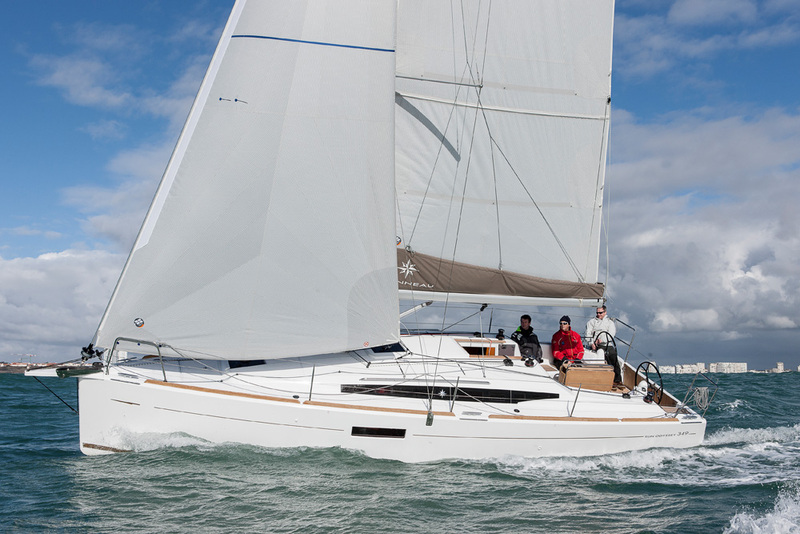 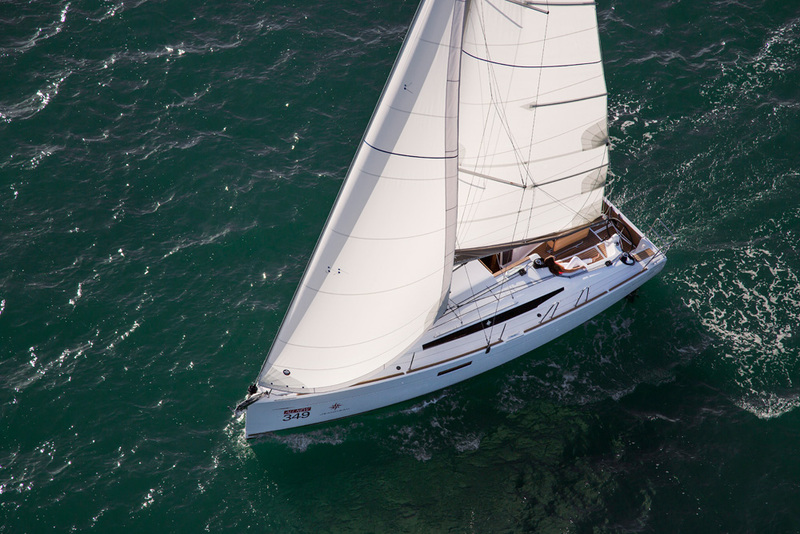 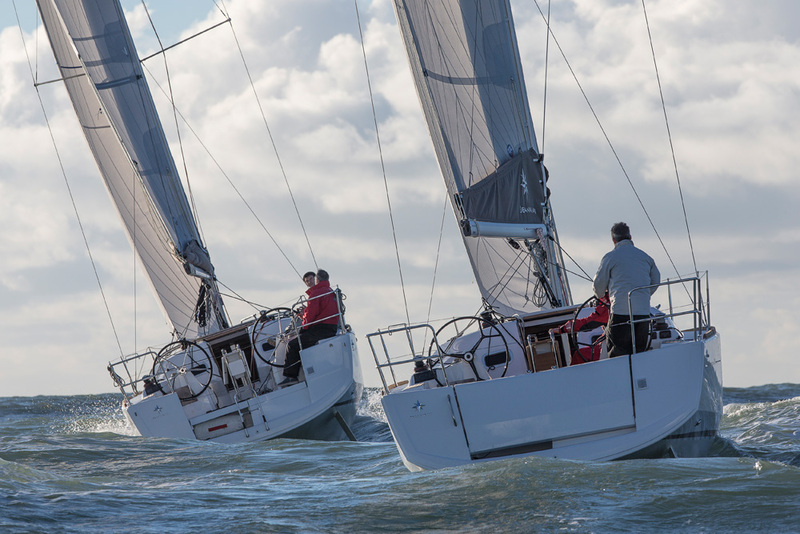 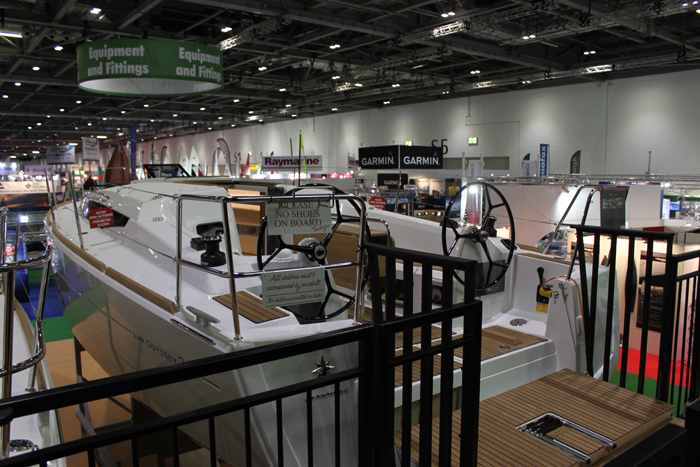 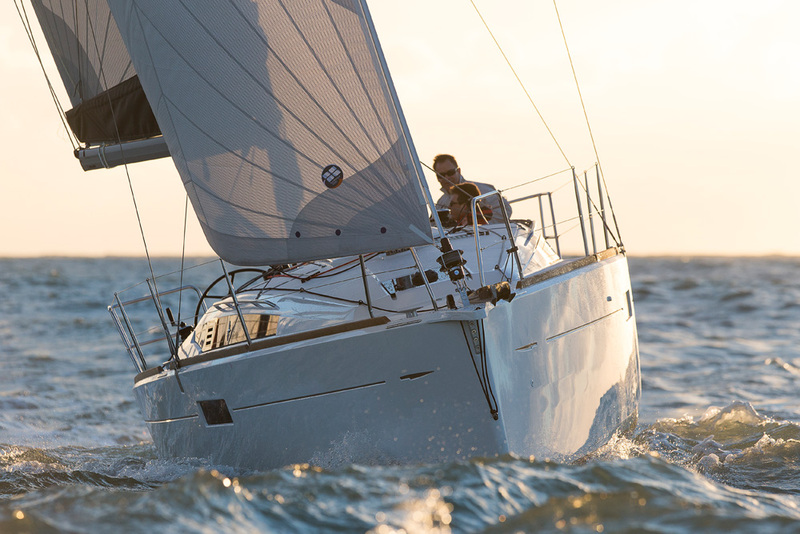 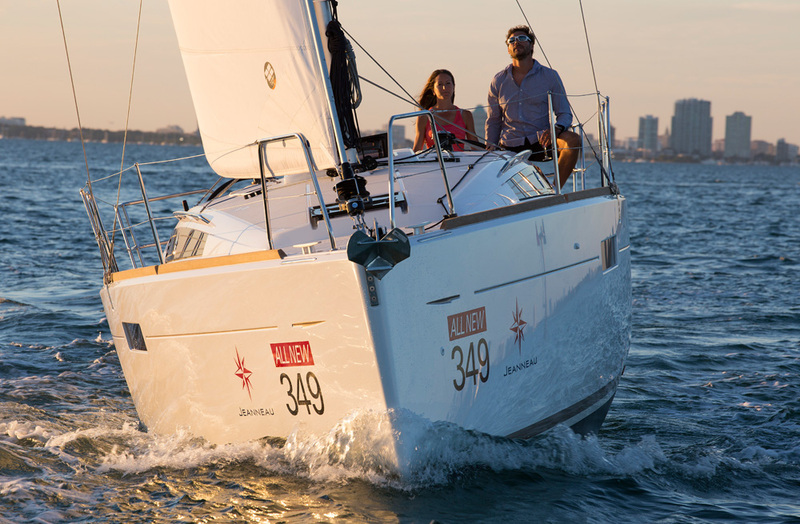 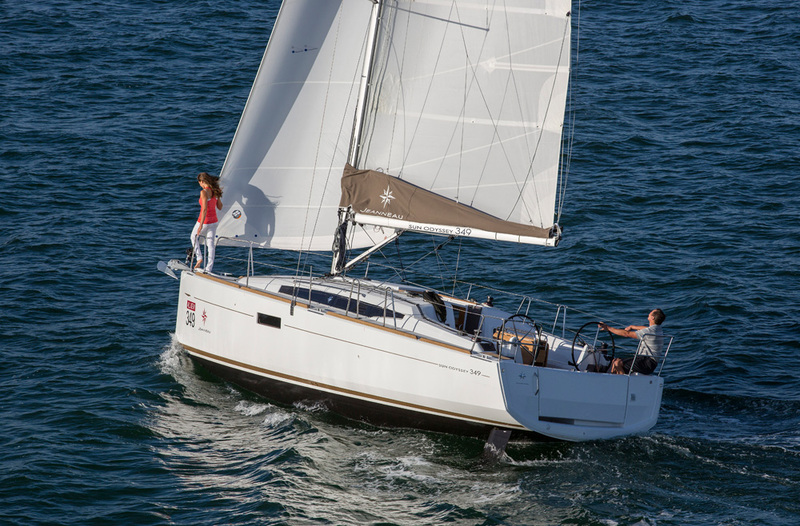 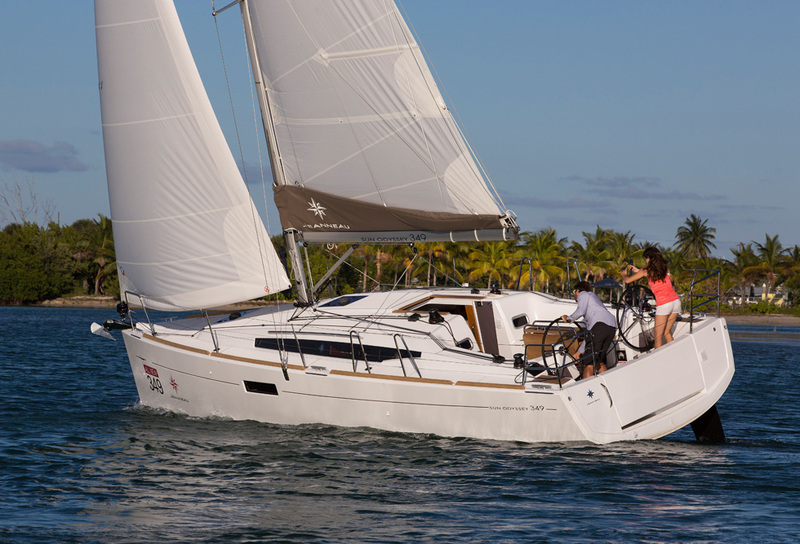 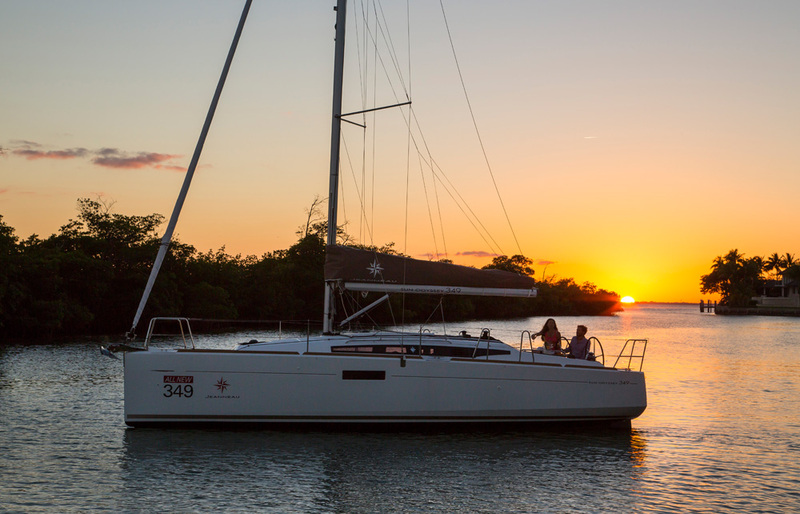 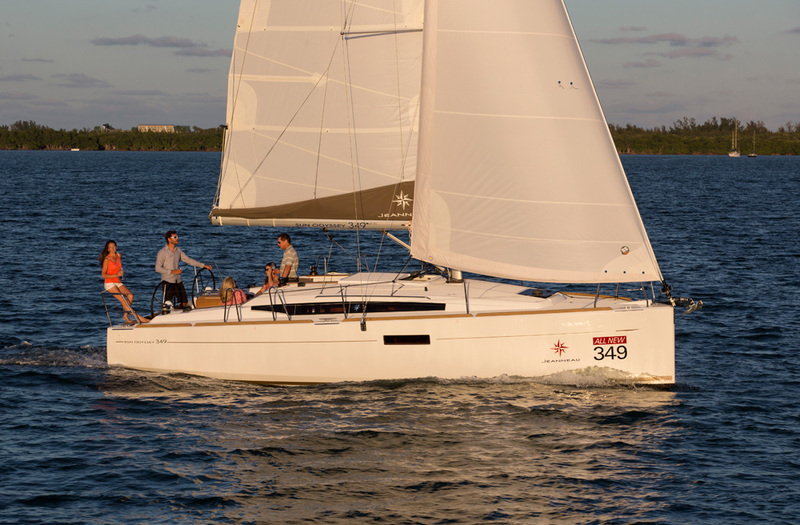 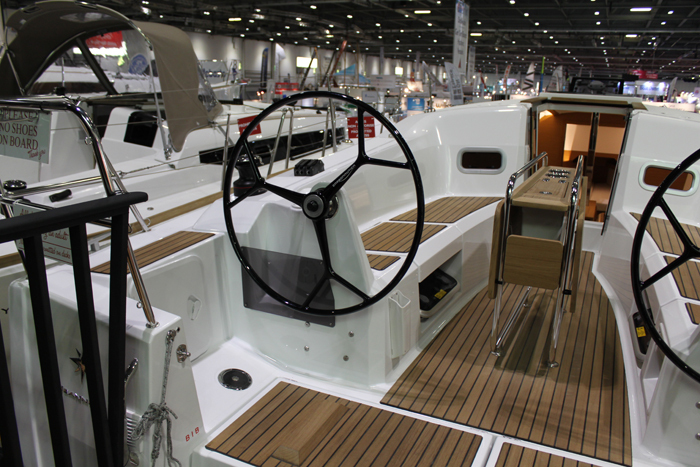 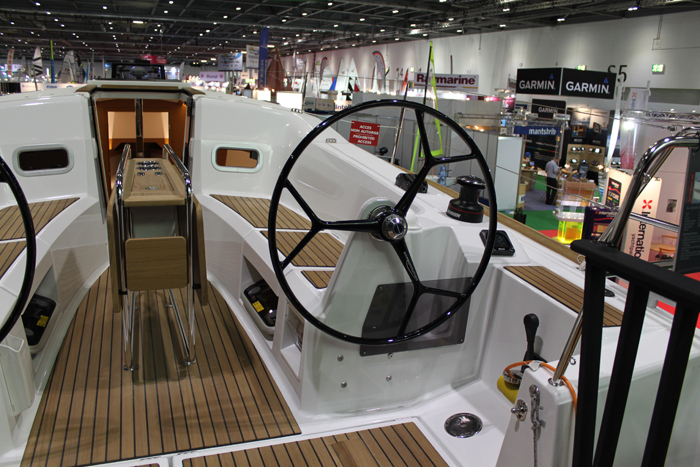 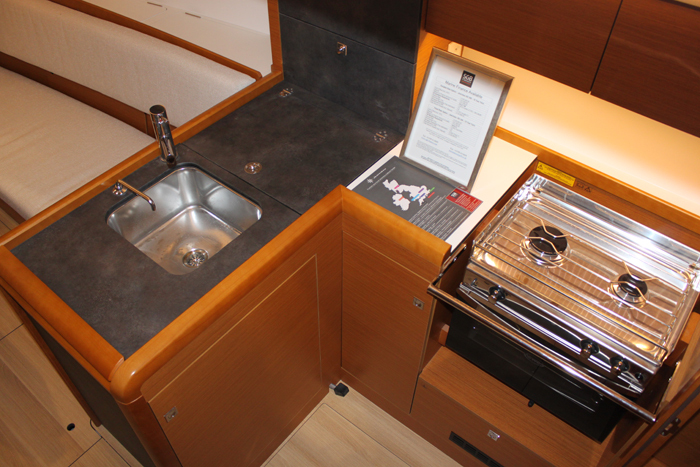 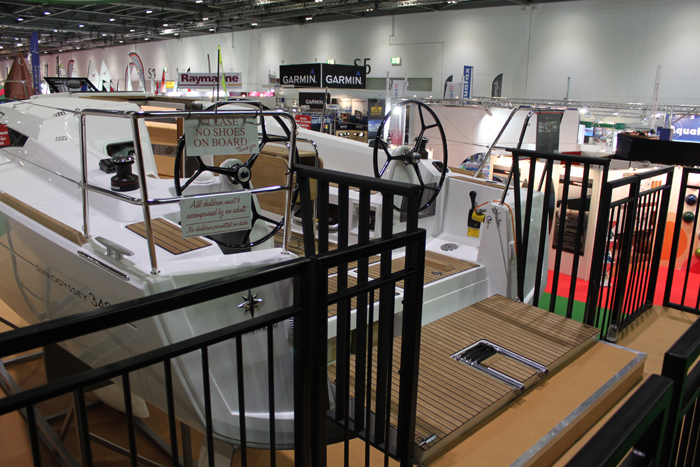 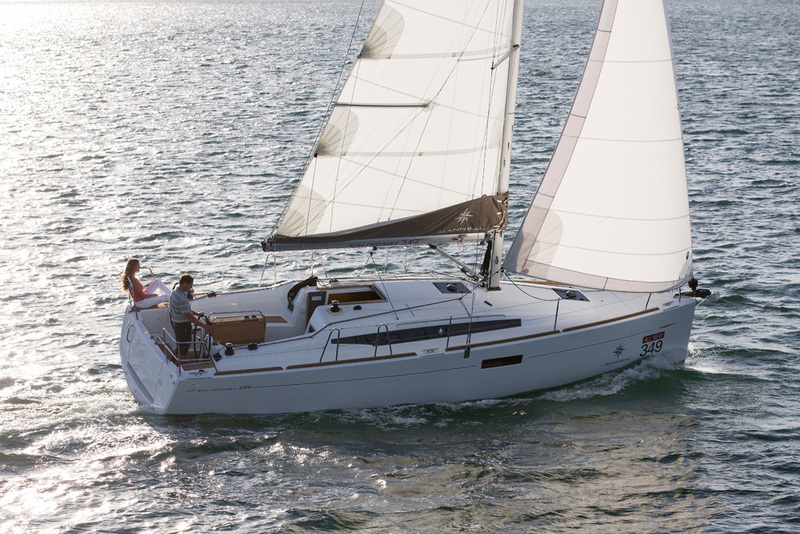 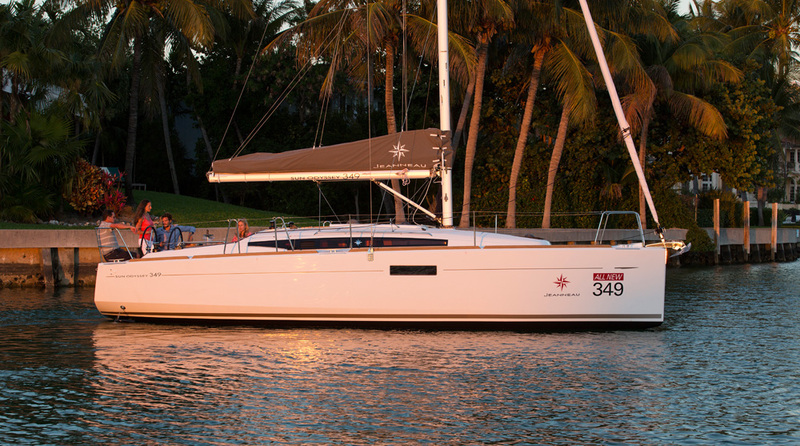 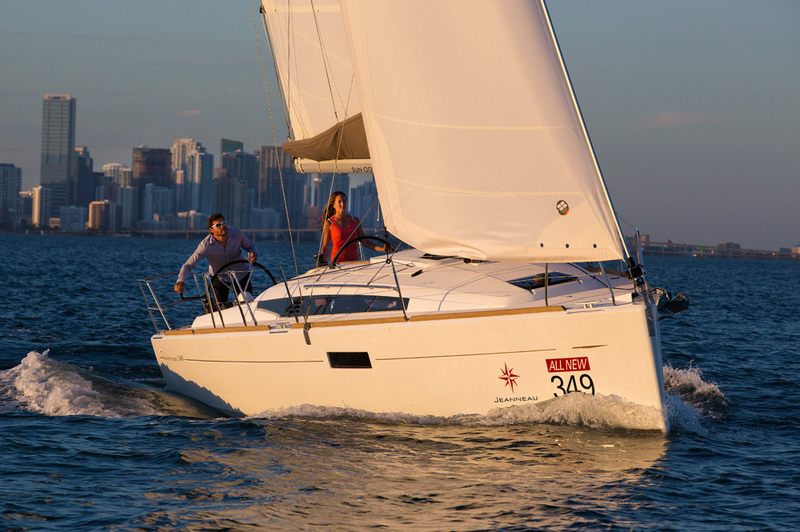 We are also pleased to announce that the Jeanneau Sun Odyssey 349 has already scooped some top awards! 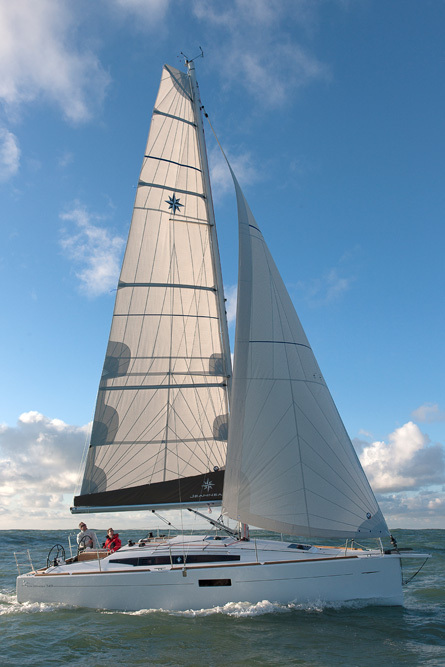 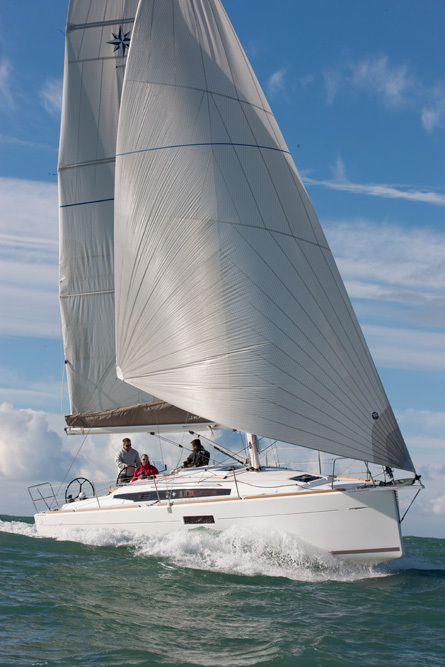 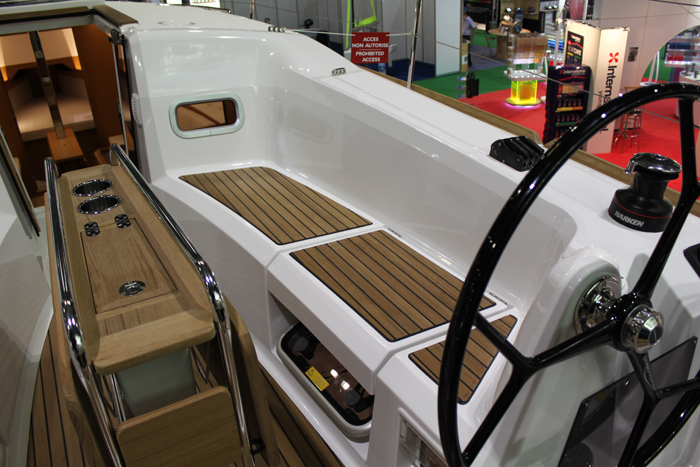 For more detailed information about the Sun Odyssey 349 either visit us at Blackrock Yachting in Brighton or Chichester where we have lifting keel boats on the water ready to view!